Cardi B paid tribute to Mac Miller after beating the late rapper for a Grammy in the only category he has ever been nominated in. She won the award for Best Rap Album, her first Grammy, for Invasion of Privacy, at the 2019 Grammys on Sunday. 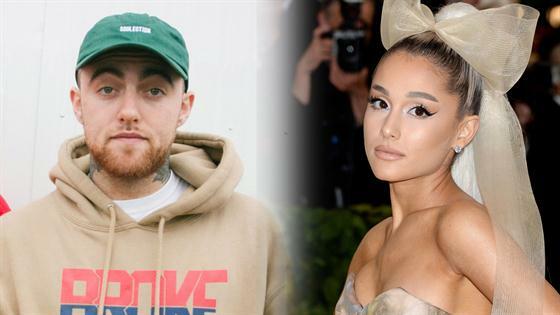 His ex and fellow first-time winner Ariana Grande was not happy about it, tweeting and then deleted tweets that said, "trash, "f--k" and "literal bulls--t." She also posted and deleted a response to a fan that said, "THEY INVITED HIS PARENTS OUT. NO." Following online backlash, Grande apologized, saying, "Nothing to do w her. good for her. i promise." Cardi later posted on her Instagram page a video of herself thanking people for their support, adding, "I read an article that Mac Miller's family said that if he don't win, they want me to win, so I'm sharing this Grammy with you, motherf--ker! Rest in peace!" The rapper died of a drug overdose last September. He was among several people honored in the Grammys' annual In Memoriam tribute video. Mac's mother Karen Meyers was spotted at the Grammys ceremony with Cazzie David by her side. Cardi then posted a screenshot of the article, published by Us Weekly in January. Grande commented on it with six black heart emojis. "WE WON A F--KIN GRAMMY," Cardi wrote. With her Grammy win for Best Rap Album, Cardi made history; she is first female solo winner to take home the award. It marked Cardi's first Grammy win and seventh nomination overall. Check out a full list of Grammy Award winners. Watch E! this Sunday starting at 9 p.m. for our Live From the Red Carpet 2019 Grammy Awards coverage! After the ceremony, tune in to E! 's After Party: The 2019 Grammy Awards special!